Most people I know hate having meetings. Correction: They hate having unproductive meetings which have a single outcome of wasting everyone’s time. However, done correctly, an effective meeting can get a lot done in a short space of time. A meeting should have an agenda and a plan at the end of it, but what if you are not in control? How do you make your attendance at meetings more effective? As an attendee you need to give more than your presence to make the meeting effective – you need to prepare in advance, actively participate and walk away with actionable outcomes. 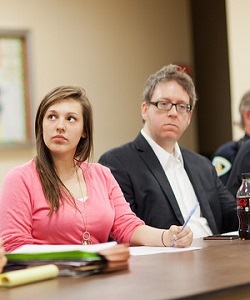 Here are some quick tips to help you have a better meeting as an attendee. When you receive a meeting invite the first step is to always evaluate whether you should be attending the meeting. It is quite easy to have a day of back-to-back meetings. Are you actually needed? Ask for an agenda and check what is being discussed and consider your role and the roles of the other attendees. If no agenda has been circulated with the meeting invite, ask for one. Even if you have nothing specific to contribute to the meeting as an agenda item, you should still prepare for the meeting by reading the agenda and consider any comments, contributions or questions you might have. A meeting can also be a useful time to get items off your own to-do list or pick something up with a colleague — include two-bird-one-stone items in your preparation. Alternatively, if it is a regular meeting, you might also want to review your notes from last time. This one is controversial. However, I do not believe it is acceptable for people to turn up late to a meeting. Sometimes it can’t be avoided, however, as an attendee you should always try to arrive on time and put your best foot forward. If punctuality is encouraged by all, then future meetings will start more promptly for all attendees. Simply listening in a meeting can make it more effective for you. Resist the temptation to work on something else during the meeting. Leave this for any genuine spare time there is in the meeting while waiting around. Even if someone is tasked with taking minutes, you should still jot down important notes during a meeting in your meeting notebook. Not only does it help you focus during the meeting, but it helps you remember what was discussed and helps you turn those discussions into action points. Be clear when noting action points what you are going to do and what you would like other people to do. If a discussion seems to be moving on without a clear action point, try to clarify what needs to be done next and to what deadline. Following your meeting take 10 minutes to clarify what needs to be done. Do any immediate post meeting tasks, like if you said you would email someone a copy of a document for example. With any other follow-up actions, either schedule these in your calendar or add them to your to-do list — incorporate them into your usual system. Your post meeting review doesn’t have to be an additional task or written exercise. Simply take a couple of moments to reflect on the meeting. Consider whether your attendance was appropriate and whether it was a good use of your time. Consider what you might want to mention or do next time by way of preparation or active contribution. And finally give/offer feedback to the meeting organizer or speakers. What tips do you have for having more effective meetings? Cori of Printed Portal is a young professional working and writing in the UK. She writes about planning and organization and designs organizational notebooks.